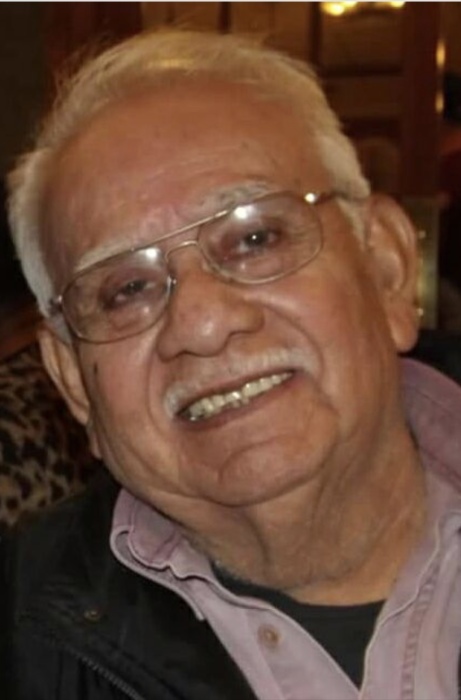 Pete Munoz Castaneda, 84, died December 29th, 2017 at Via Christi St. Francis Medical Center in Wichita, KS, surrounded by his wife, children, grandchildren, and great-grandchildren. Pete was born February 23rd, 1933, in Lewis, KS to Jose and Manuela Castaneda. On January 3rd, 1953, he married Julia Viegra at Sacred Heart Catholic Church in Larned, KS. Pete is survived by his wife Julia, sons Pete Jr. (Dori), Topeka KS, Mike (Debbie), Loveland, CO, John (Sherry), Lewis, KS, daughters Rachel (Tony), Kinsley, KS, Virginia (Kirk), Wichita, KS, Kathy (Darryl) Wichita; Joanne (JR), Castle Rock, CO, Christina (Curtis), Belton, TX., 32 grandchildren, 75 great-grandchildren, and 1 great-great grandchild. 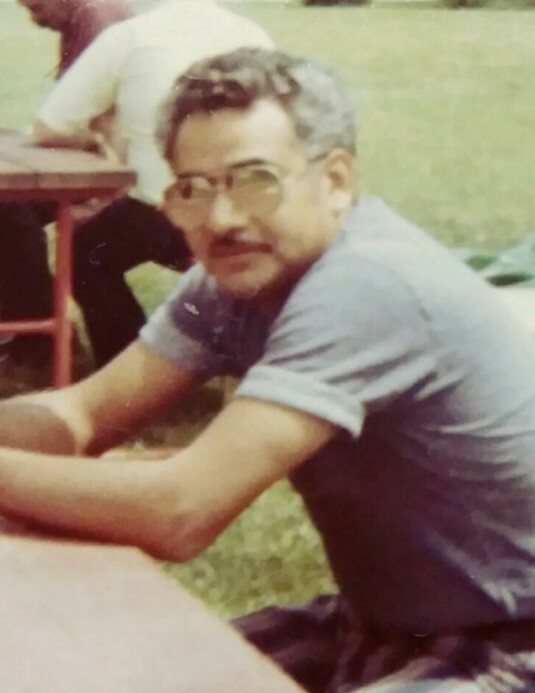 He was preceded in death by his parents Jose and Manuela, brothers Eusebio and Frank, sister Consuelo, brother Jose and sister Cruz, who both died in infancy. Pete attended public school in Lewis, and excelled in sports during his high school years. Pete’s first job after High School graduation in 1952 was with Santa Fe Railroad, in the maintenance department in Garfield, KS. Due to downsizing, he transferred to the maintenance department in St. John. Desiring to stay closer to home and his growing family, he approached Cross Manufacturing in 1954, at the same time they were finishing the construction of their new facility that now stands at their Lewis location. Pete’s first job at Cross was digging a ditch for the new septic system that would serve the new plant; next, he plumbed the bathrooms and ran water lines throughout the building. The following week he was running a lathe. When he retired 40 years later in 1994, he was the Foreman in charge of Assembly. During those 40 years he was involved in multiple facility expansions in Lewis, as well as involvement with some of the other plants Cross opened as they grew. Pete once said, with the experience to back it up, that he could singlehandedly take any order for a standard cylinder, machine all of the components, assemble them, and then have the cylinder ready to be shipped by the east door! One highlight for Pete and his wife Judy was in 1975, when he was sent as a troubleshooter to the Cross facility in Torreon, Mexico. While in Mexico, they visited the resort city of Mazatlan, on the West Coast of Mexico. While there, Pete went parasailing, towed by a boat out over the ocean! In 1972, Pete began running the refuse route for Lewis Development, Inc., and later, in 1981, Pete and Judy purchased the route, and continued to run that as a family business, Pete’s Refuse. They also started and operated a successful chimney cleaning business, Pete’s Chimney Sweeping. Throughout his life, Pete exhibited a “Can Do” attitude, whether it was in his work at Cross, in his other businesses, helping a neighbor with a project, or in the construction of their family home in 1955. Pete also exhibited this same attitude with hobbies and recreation, such as his commitment to and success in hunting pheasants, jackrabbits, coyotes, and even snakes; trap shooting, bowling, leatherwork, and raising pigeons. He was an accomplished golfer, learning to play on the sand green courses that sprung up around many smaller communities in Kansas. He played in many tournaments in the area, and brought home many trophies! Pete was an involved community member. Informally, he was always finding friends and neighbors that needed a hand with a project, or needed some help that he could provide. As a volunteer, he helped with the Recycling Center in Kinsley, he read to children at school, and he helped with Spanish to English translation at the school. Formally, he served on the Lewis City Council, and was an active Knights of Columbus member. One of Pete’s favorite pastimes was dancing with his beloved wife Julia. They had quite an impressive and well-deserved reputation as a couple on the dance floor, and traveled throughout the area to dances on a regular basis for many years. Pete’s passing leaves a huge void in his large family, as well as in his community. He will be sorely missed, but the impact he has had on family, coworkers and the Lewis community lives on through those he loved, served, encouraged, mentored, and influenced.